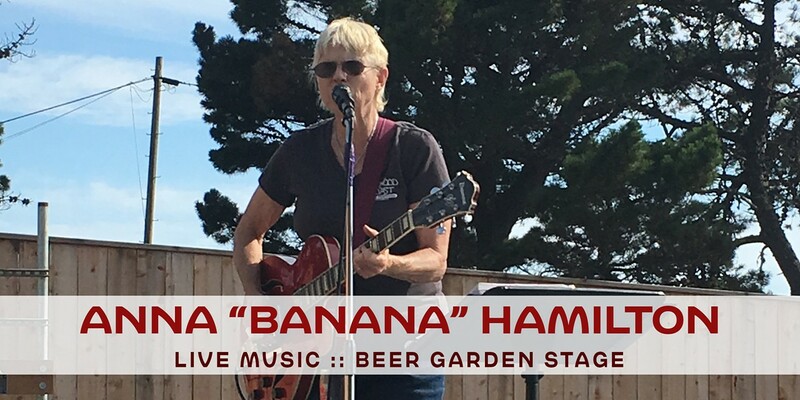 A treasured musician of Shelter Cove, Anna "Banana" Hamilton has been a crowd favourite. She performs many genres of music - Blues, Country, Swing, Folk, Jazz & Bluegrass. Award-winning fingerpicking guitarist, hilarious entertainer and vocalist of many moods. Harmonica and slide guitar spice up the blues. Grab the family, grab a friend and come on down and enjoy your community brewery. Cheers!